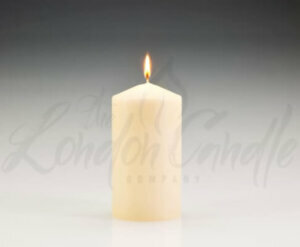 Our 60mm x 150mm pillar candles are manufactured in Germany. 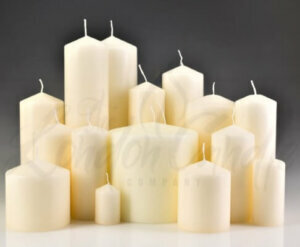 The pillar candles are over-dipped which makes the candles drip resistant and increases their burn time. 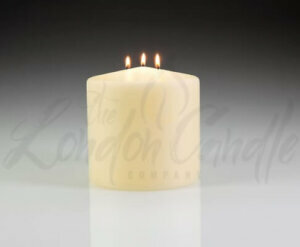 We are confident that our candles burn more consistently and for longer than our competitors. 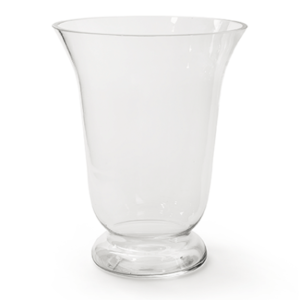 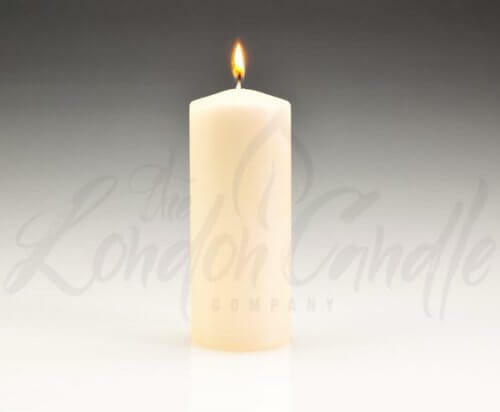 The 60mm x 150mm pillar candle has an approximate burn time of 55 hours. 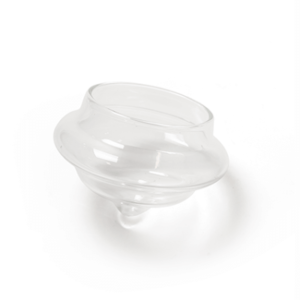 Cased in 12s. 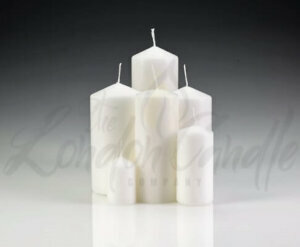 60mm x 150mm Ivory Pillar Candles (Case 12). 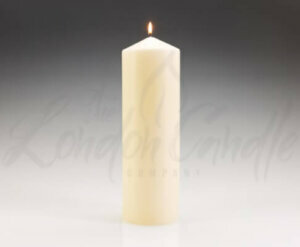 High quality, low priced and long burn German manufactured ivory pillar candle. 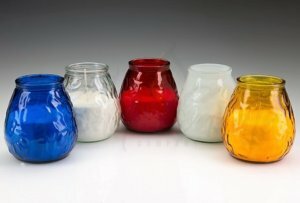 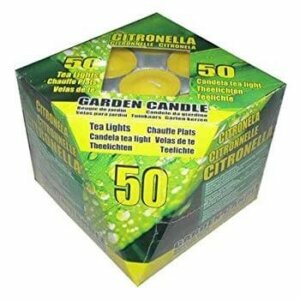 The London Candle Company have a huge range of sizes available.